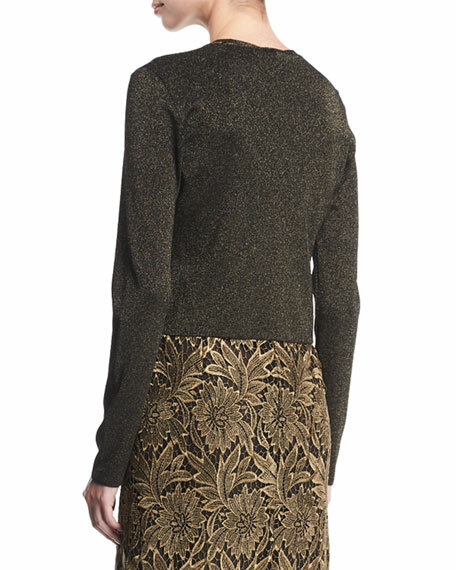 Escada cardigan in Lurex® knit. 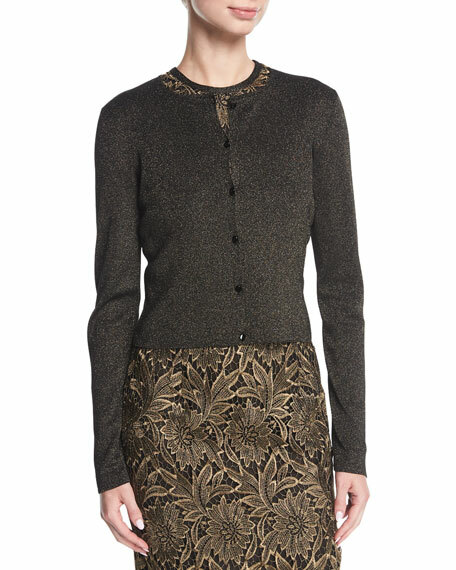 Crew neckline; button front with Swarovski® buttons. For in-store inquiries, use sku #2344424.